Most Dangerous Man in America? 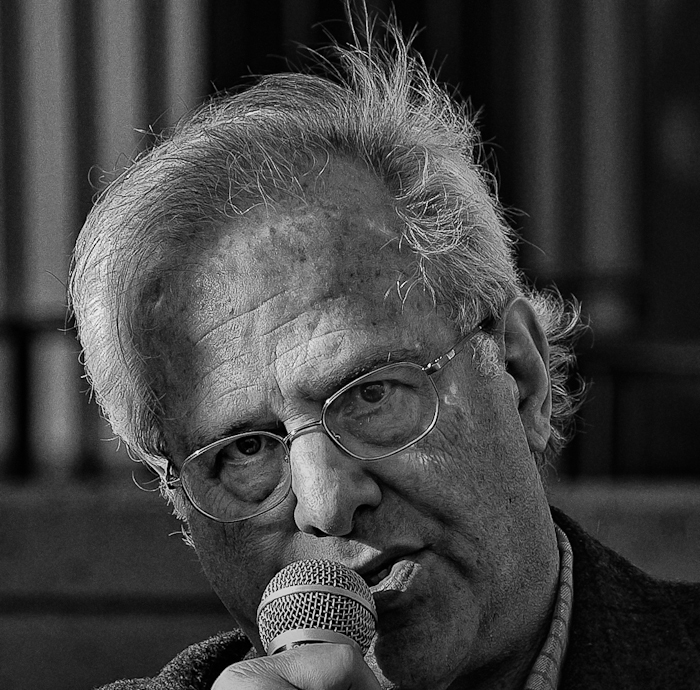 I had never heard of Professor Richard Wolff before last Saturday, and now I’m wondering if he is to become the Most Dangerous Man in America. 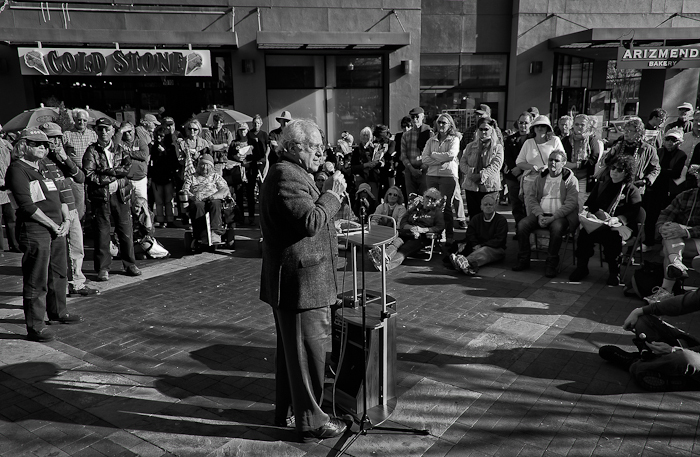 Saturday he spoke at a forum in downtown San Rafael, CA, organized by Occupy Marin. He held the group of 130 in attendance in rapt attention as he explained his take on the Occupy Wall Street movement. I had hoped he would explain how to channel the energy of Occupy into a voting block that would elect progressive candidates in future elections. 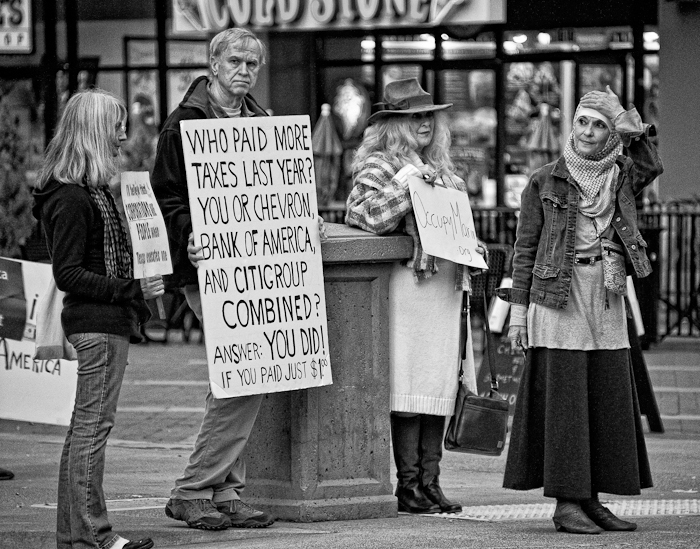 This is what I personally hope will come out of the Occupy movement. I quickly learned that he didn’t share my wimpy desires. He made it clear that in his opinion all proposals for reform using the current electoral process are doomed to failure. This is because the system is rigged not just in favor of the super rich, but also rigged to insure that any meaningful reforms that do slip through will be eventually undone by monied interests. Is he a wacko lefty or a clear-eyed visionary offering a much needed corrective to mainstream pundits? You decide. His web site makes it clear he is an expert in Marxian economic theory with a serious distaste for Capitalism. His talk was short on the exact mechanics of fundamental change, possibly because this is where furious resistance will likely occur. On a less controversial note, he did recommend the Spanish Arizmendi model (Mondragon Corporation) of worker-owned and operated businesses. It seems reasonable to me that relatively small groups of like-minded people could create working collectives, functioning democratically for the common good. This has been done many times before, and examples are in place in the San Francisco Bay area. But where does this leave the millions of other workers at their small and large worksites? Wolff didn’t directly address how to cause revolutionary change at the Microsofts of the world in Saturday’s talk, but it seems he would like Occupy to lead the way. Can you imagine the effect if Occupy could somehow mobilize thousands or even millions of workers to sit-down at work and demand economic and democratic equality? If Dr. Wolff becomes a leading influence in this direction, I’m sure he would find his life’s work fulfilled, and proudly accept the title, Most Dangerous Man in America. In the meantime, I’m out looking for progressive candidates. I think he’s right about that — money and the legal and political power it buys will always win. I’ve wondered if a cooperative movement, with the explicit political purpose of geting rich enough as a group to collectively stand up to the super-rich and level off some peaks and valleys of unreasonable wealth and poverty, might provide a counter-influence. This would have to operate over many election cycles. In the present economic climate, many people are possibly more willing to consider life in less materialistic terms than before. Naive, I know. People can’t seem to agree on a goal for more than about 15 minutes. I’ve had much the same thoughts. I’ve been lucky in life, but sometimes I wish I had joined one of those alternative communities that were so popular in the early 70s. Do your suppose we’re going to experience the 70s all over again?